Don't get benched by your equipment! Fix and maintain your helmet, you skates, and your equipment. HockeyTUL was created by hockey players for hockey players! 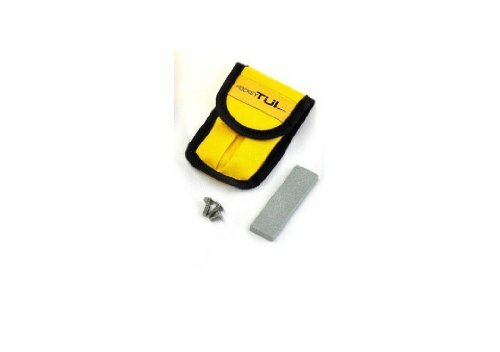 The folding pocket tool comes in a carrying case and features both flathead and philip screwdrivers to adjust helmet cages and to tighten loose screws. 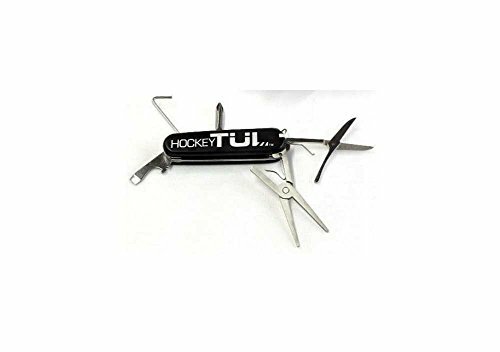 Also use the screwdrivers to secure skate blades. Use the pliers to pull frayed laces through the eyelets on your skates, or use the scissors to cut off the frayed edge. Get a secure fit in your skates by tightening the laces using the lace tighener. The scissors are also useful for cutting away those annoying stray threads on socks and for making cutting tape so much easier! The included skate stone is extremlely helpful for maintaining a sharp edge on your skates in between sharpenings. All of this in just one tool! Professionally Packed and Shipped. New in Original Packaging.